Charismatic ‘X Factor’ winner Cyrus Villanueva today releases his highly-anticipated second single ‘Keep Talking’. Co-penned alongside the hit songwriting duo of DNA (Anthony Egizii and David Musumeci) in Sydney, the (“heartfelt”) song is all about the breaking down of a relationship. To celebrate its release, we’re giving you the chance to ask Cyrus five questions in a new segment we’re calling ‘Pop Fan Five’. 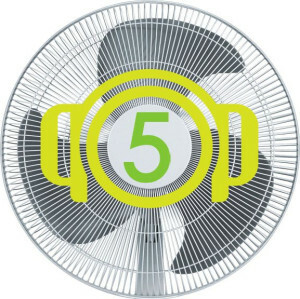 Pop Fan Five gives pop fans from across Australia, indeed across the world, the opportunity to ask five pressing questions, giving you the chance to get closer to your favourite artists than ever before. And Cyrus is our first cab off the rank. So… put your thinking cap on. And come up with the five questions you’d like to ask of Cyrus. We’ll then pass them along to his label, who’ll in turn pass them on to him, and we’ll publish them on the site when we get the all-important answers back. Simple. We’ll select the four best sets of questions to pass onto him, so make them good! Simply head to our CONTACT page, let us know your first name and the suburb/town in which you live and give us the five pressing questions you’d like to ask of Cyrus! Naturally, we’ll be rolling out Pop Fan Five throughout 2016 to give you the chance to get closer to your favourite pop artists than ever before. Hurry! Get your questions to us before Monday February 15 at 5pm AEDT. 1.what will your next album be about? 2.was the song ‘Keep talking’ about your past life experience? 3.what your date of birth & star sign? 4.which 3 artists inspires you & why? 1. Will you do a collab with Chris Isaak? 2. Do you keep in-touched with Big T? 3. What’s next after Keep Talking? 1. How do you get inspired through singing? 4. What is your single “Keep Talking” all about? 5. What is your strongest ambition?